Welcome to your luxurious oasis, where time ceases to exist. 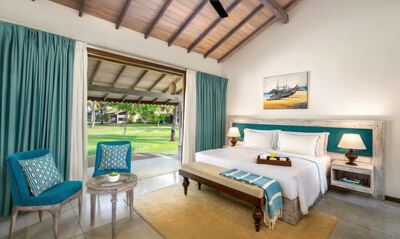 Airy with blue shades complemented by the lush garden, The Villas Wadduwa offers 32 lavishly appointed villas designed as a hideaway. 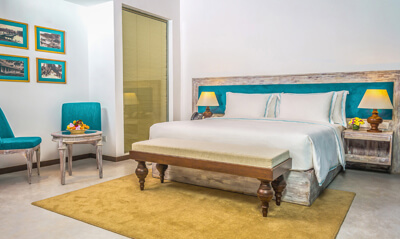 The accommodation at our seaside resort features modern furnishing, a private balcony, a covered outdoor bathroom and an elegant interior design influenced by the culturally rich town.